My mother is like an Iowan version of Martha Stewart, minus the poncho and prison record. She can cook anything, bake anything, make anything, do anything, and it’s all delicious, perfect, adorable and perfect. I am not my mother’s daughter. Cooking meat scares me. Yeast petrifies me. You can fix writing. You can always tweak your edits. But fixing a too-done pork chop or reviving limp dough is impossible. 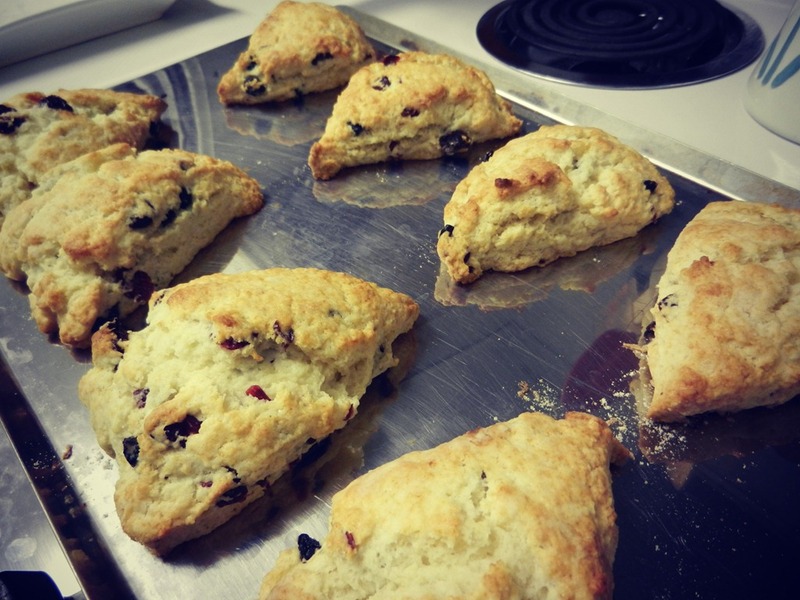 So it’s really nothing short of a small miracle that I (1) made scones this morning and (b) they turned out. Oh yeah, and (c) they weren’t crunchy, dry, tasteless and lame. I’m not saying I’ve turned a culinary corner here (I haven’t. I so haven’t. ), but these were aptly named, that is to say, dreamy. 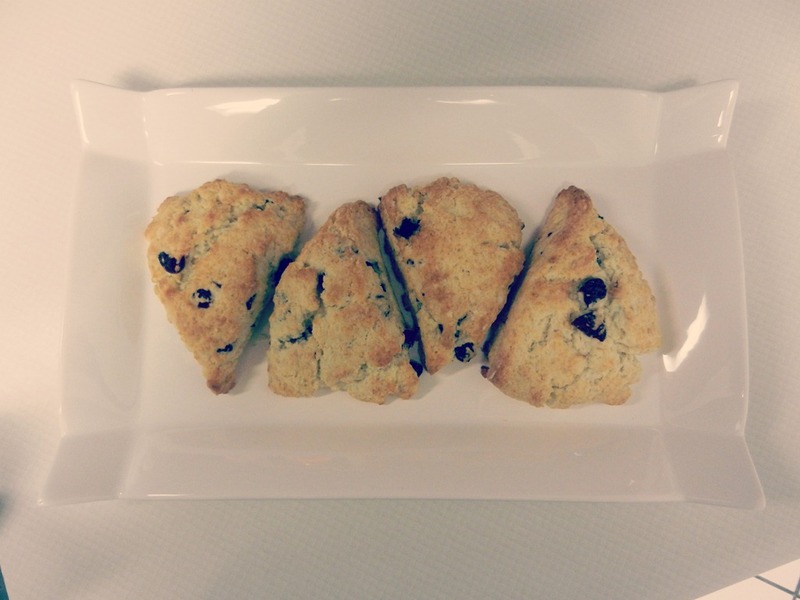 For those of you slackers who forgot about Mother’s Day, get up early tomorrow and whip these bad boys up. She’ll completely forget that you made her card out of sticky notes and crayon scribbles. Promise. 1. Adjust oven rack to middle position and heat oven to 425°F. 2. Place flour, baking powder, sugar and salt in large bowl or work bowl of food processor fitted with steel blade. 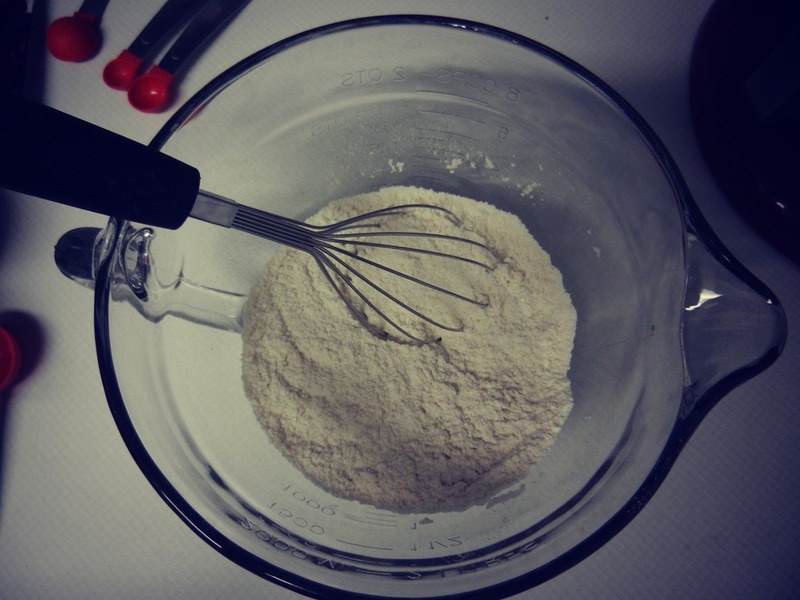 Whisk together or pulse six times. 3. 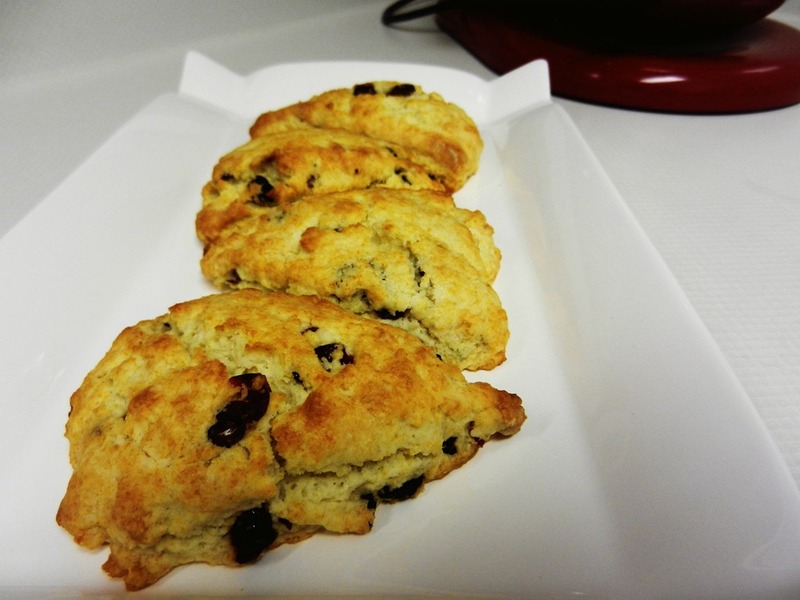 If making by hand, use two knives, a pastry blender or your fingertips and quickly cut in butter until mixture resembles coarse meal, with a few slightly larger butter lumps. Stir in currants. 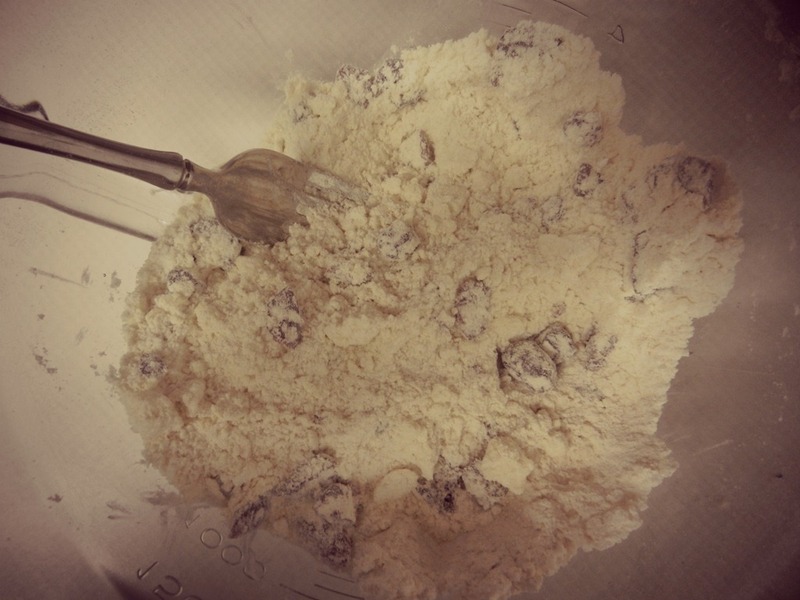 If using food processor, remove cover and distribute butter evenly over dry ingredients. Cover and pulse 12 times, each pulse lasting 1 second. Add currants and pulse one more time. 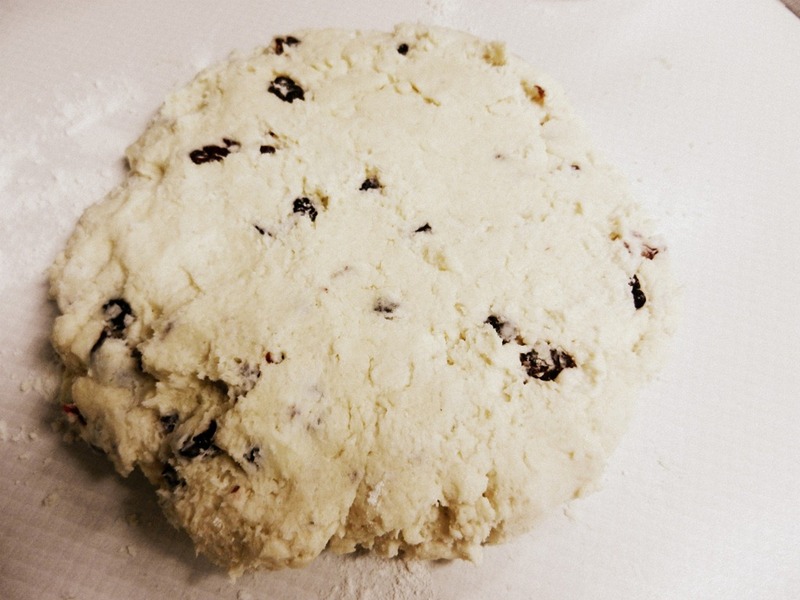 Transfer dough to large bowl. 4. 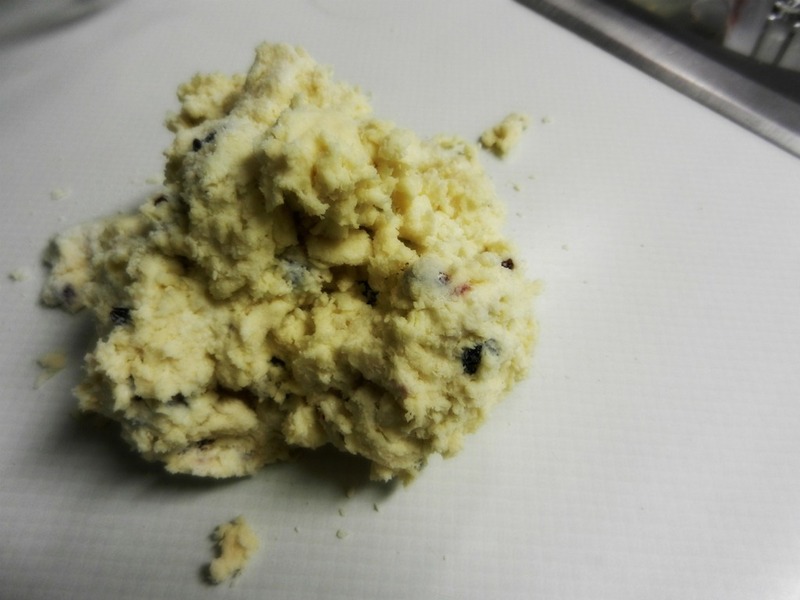 Stir in heavy cream with a rubber spatula or fork until dough begins to form, about 30 seconds. 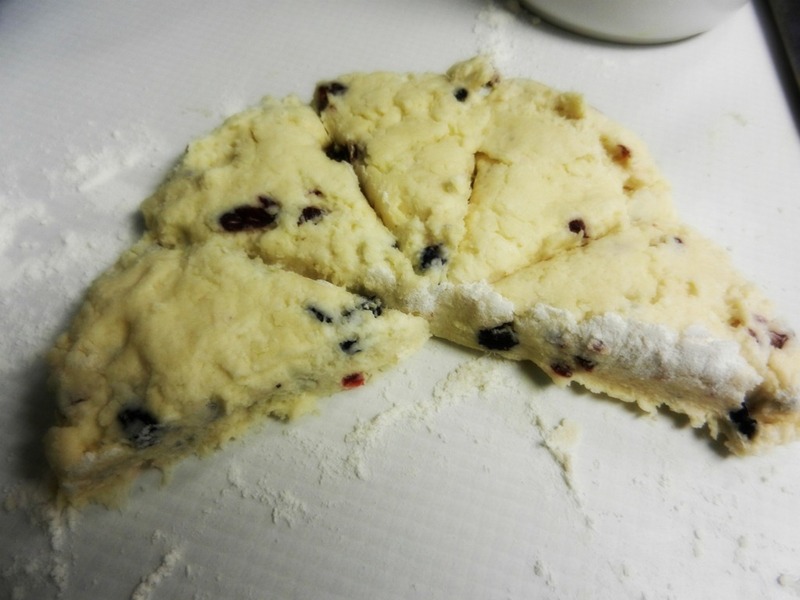 b) patting the dough onto a lightly floured work surface into a 3/4-inch thick circle, cutting pieces with a biscuit cutter, and pressing remaining scraps back into another piece and cutting until dough has been used up. 6. 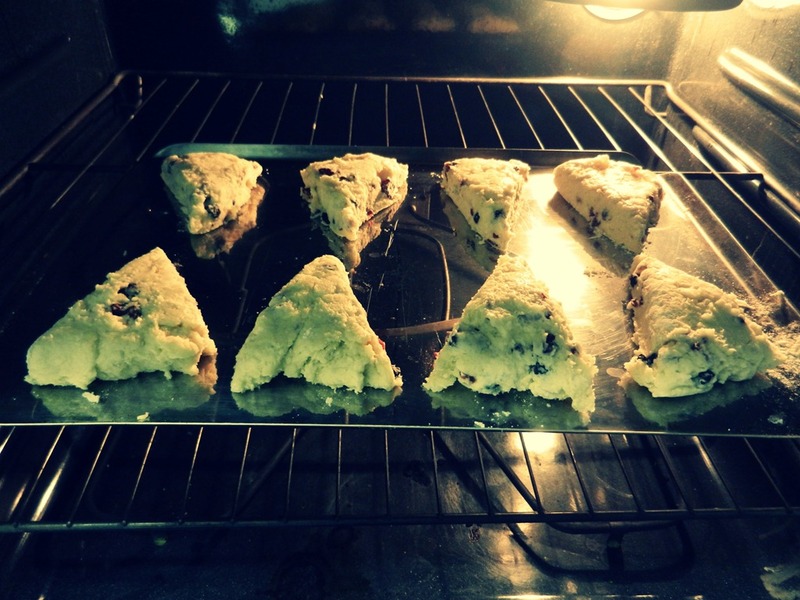 Place rounds or wedges on ungreased baking sheet and bake until scone tops are light brown, 12 to 15 minutes. Cool on wire rack for at least 10 minutes. Serve warm or at room temperature. Look at these beautiful things, will you? 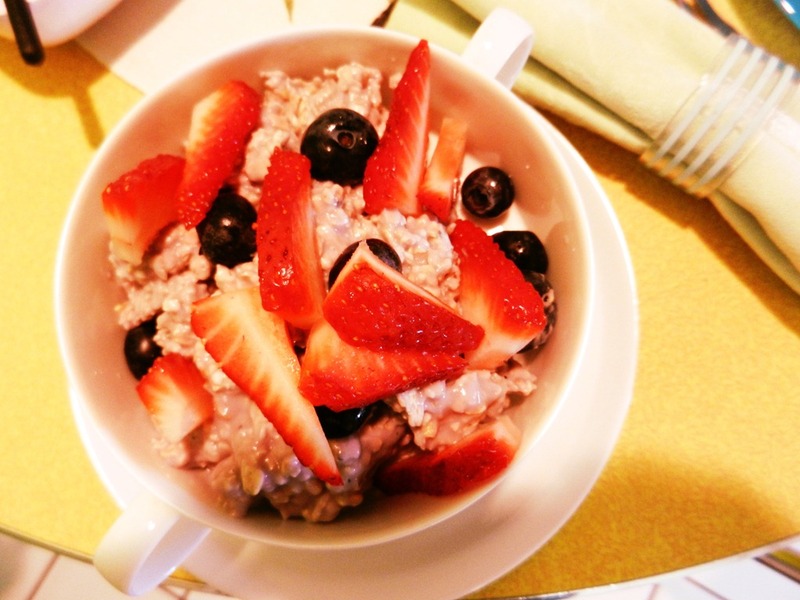 Serve it with some muesli, which today was basically a combo of oatmeal, steel-rolled oats, a little bit of milk and some blueberry yogurt. Add some fruit, and you have a winner. A dessert. A breakfast. A snack. It’s light and healthy. And your mom will love you. 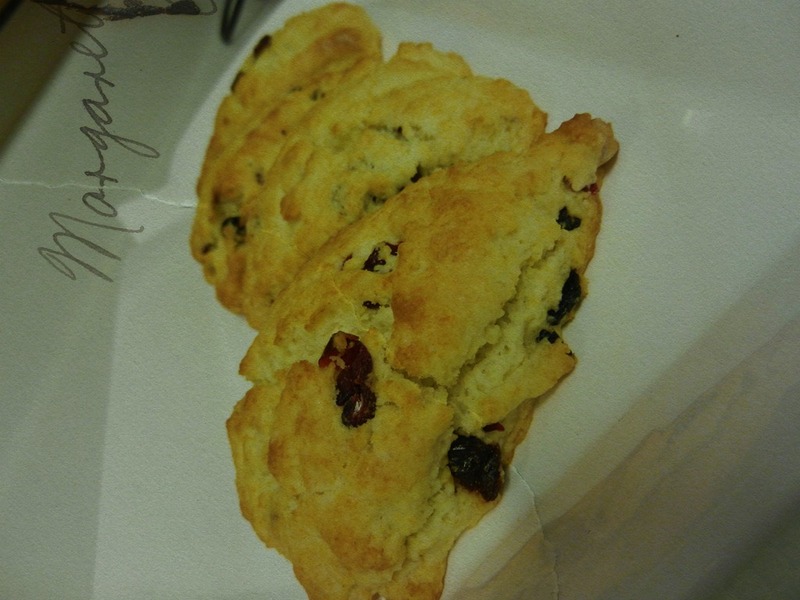 Hey, do you think this would work with having blueberries in the scone vs. currants as recipe calls for (or cranberries, like you used)? Nice work!! I’ll bet your mother would be deliciously proud if she were still there.